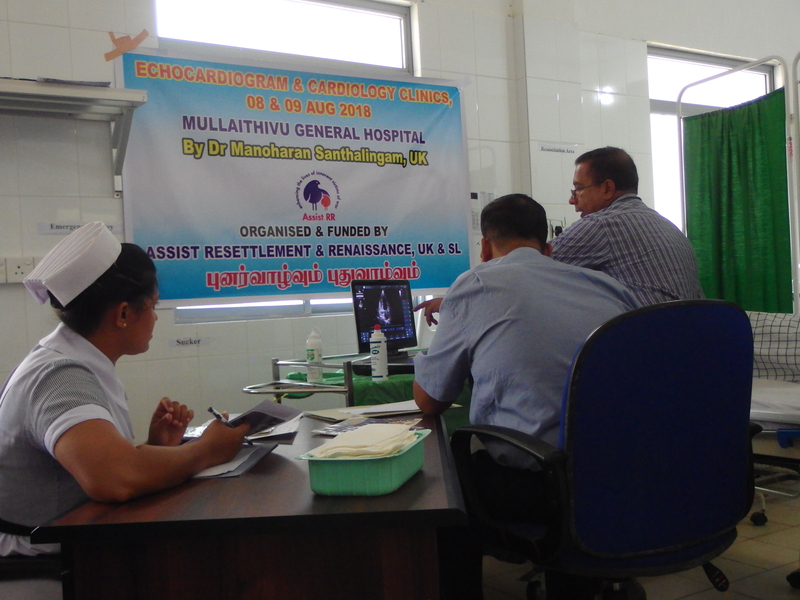 Free cardiology and echocardiogram clinic in Mannar, 25th-28th June: Assist RR has recently conducted 4th cardiology clinic in Mannar District General Hospital. 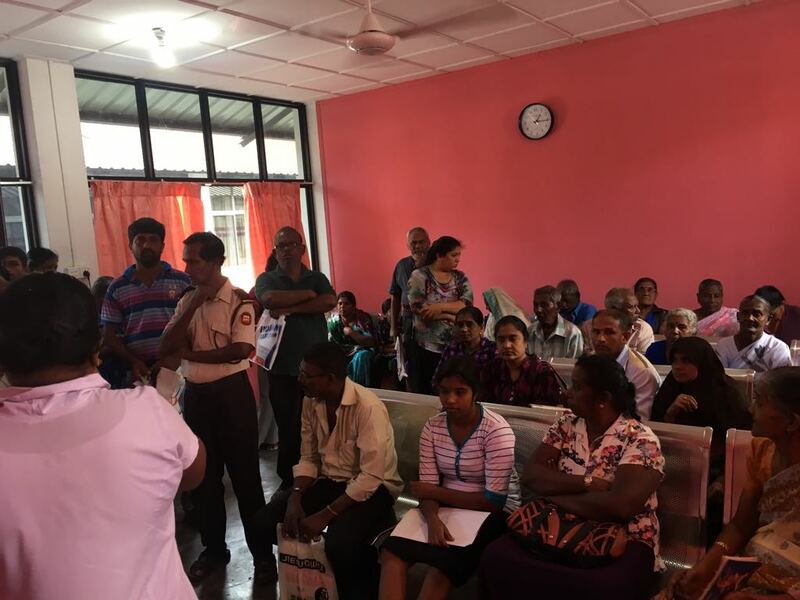 With help from Dr Anenta Ratneswaran, Dr Mayooran Shanmuganathan, both cardiology doctors, consulted and scanned 236 patients. Our special thanks to Mr James and his family of Mannar, who gave the doctors free accommodation during their stay in Mannar. 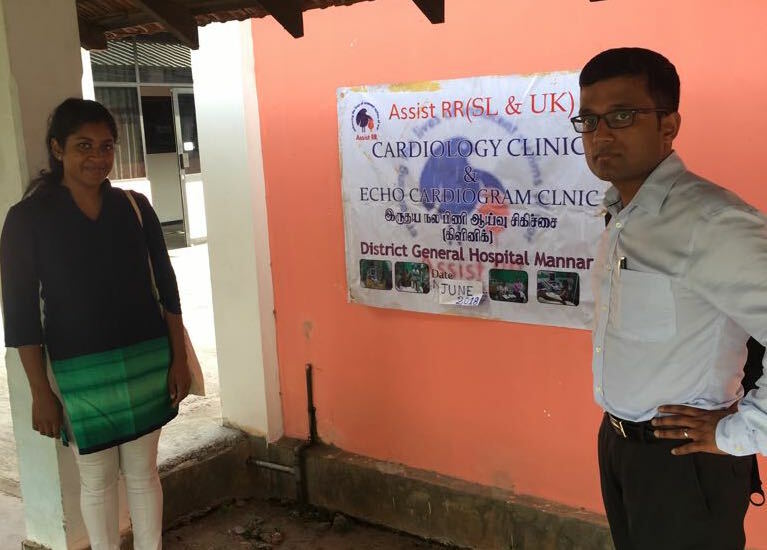 Moreover Miss Vinuthy Vijayakaandeepan, a 16 year old student from UK also accompanied the doctors on the trip to perform voluntary service at the clinic; this must be congratulated and encouraged amongst the diaspora youth. 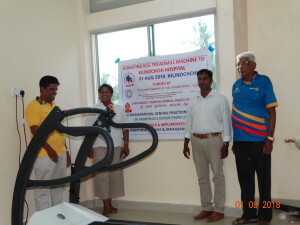 During this clinic we also donated a cardiac defibrillator given to us by Mr Vaseeharan of UK. 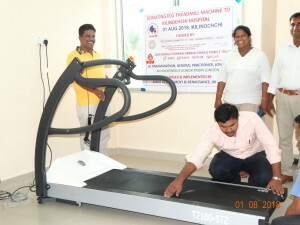 Donation of cardiac exercise treadmill machine to Mannar District General Hospital: As we had appealed for the purchase of this machine to hospitals in Northern Province, Mannar Welfare Association (UK) came forward and promised the full amount to fund a machine for Mannar District General Hospital. Their promised donation amounts to approximately £12,500. The final installation of this machine took place on 1st August 2018. 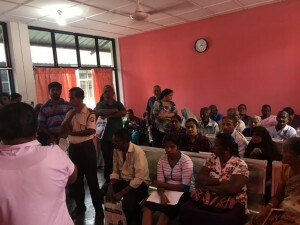 We anticipate that 1000s of patients would benefit from this every year by having their tests performed locally and avoid travelling 100s of kilometres to Jaffna or Vavuniya, where they have had to go until now. 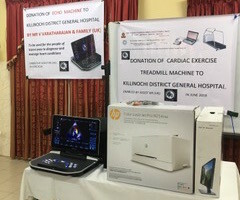 Donation of cardiac exercise treadmill machine to Killinochi District General Hospital: Similar to above, our appeal was met with generous donations from Standing Committee of Tamils (SCOT, UK), Shri Kanaga Thurrkai Amman Temple (SKTAT, UK), Dr Paramanathan (UK) and an anonymous donor from the UK. 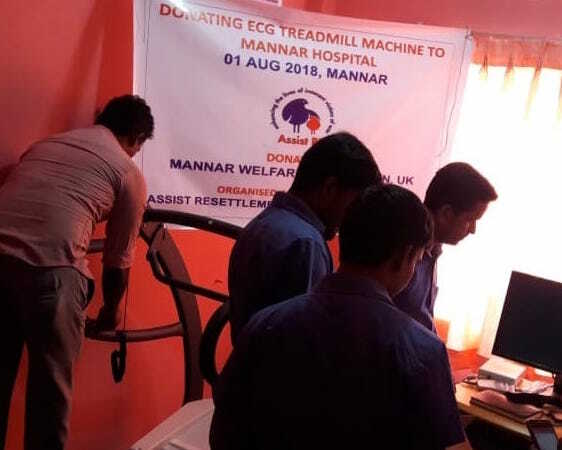 With these funds amounting to 12,500, we were able to purchase another cardiac exercise treadmill machine to Killinochi District General Hospital. Again, we anticipate 1000s of patients would benefit. 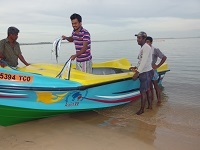 Please see attached photos and media reports of this handing over ceremony. Photos the installed machine are attached. 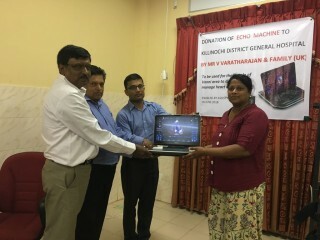 Donation of echocardiogram machine by Mr Varatharajan and family (UK) to Killinochi Hospital: As we had previously mentioned, Mr Varatharajan and family from the UK handed over a brand new echocardiogram machine worth £27,500 to us at our fund raiser event in Croydon in May 2018. 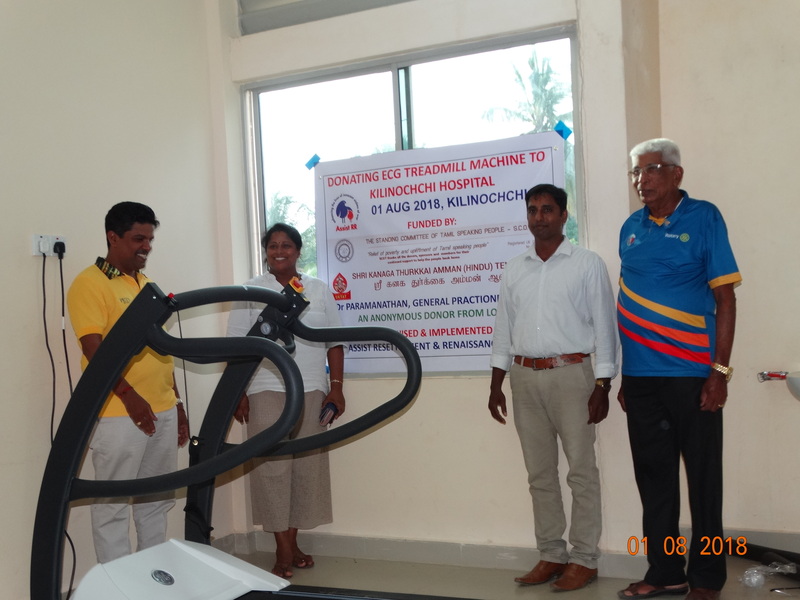 We enabled the delivery and installation of this precious machine to the director of Killinochi District General Hospital on 29th June 2018. 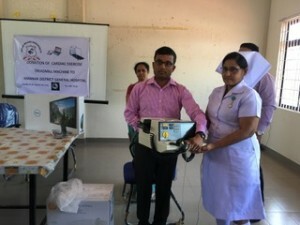 This machine is the first of its kind in the whole of Sri Lanka and will help the cardiology doctors who visit Killinochi twice a month scan 1000s of patients a year and diagnose and manage their heart conditions more efficiently. 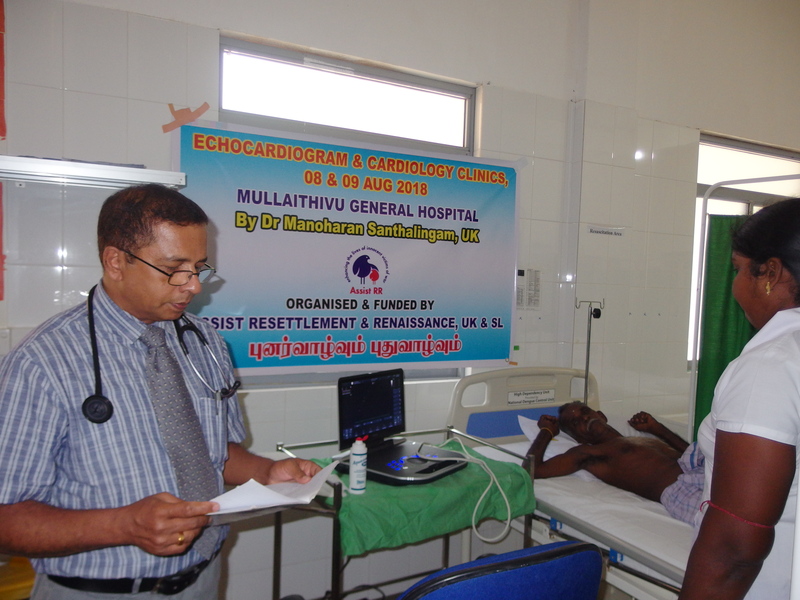 Cardiology and echocardiogram clinic in Mullaithivu, 8 – 9 August 2018: Assist RR has conducted its first free cardiology clinic in Mullaithivu District General Hospital between 8-9 August 2018. Dr Manoharan Santhalingam, a volunteer cardiologist from the UK, consulted and scanned around 80 patients during the two-day clinic single handed. This resulted in early detection of many cardiac diseases and the patients were referred for further actions. This clinic has helped to reduce the workload on cardiologists in Vavuniya and Jaffna. Our special thanks to Dr Manoharan for volunteering to do this clinic. Dr Mayooran recently gave an interview to “Asian Voice” magazine. A link is given below.